The answer to the question: 'How much mortgage can I afford?' depends on a multitude of factors (see 'How much house can I afford?' for a detailed explanation) but one of those factors are the interest rates. This Mortgage Qualification Calculator shows you the influence of six different interest rates at the same time, to more easily see the impact. This 'How much mortgage can I afford - Mortgage Qualification Calculator' functions like a normal qualification calculator, but better. Enter in your income and monthly expenses and see approximately how much you can afford for a variety of interest rates. This Qualification Calculator answers the question to 'How much mortgage can I afford?' for a conventional loan, being manually underwritten. (It also provides you a good budgeting figure.) For more information, about maximum amounts, please see the prior mentioned article - 'How much house can I afford?'. See how your buying power can increase with lower interest rates. 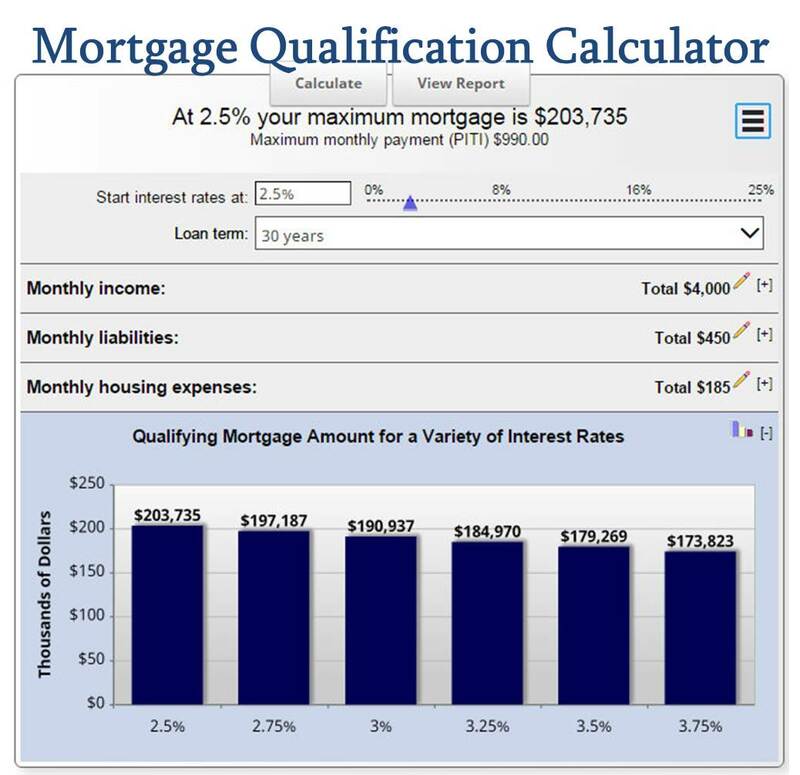 Feel free to use current mortgage rates in this Mortgage Qualification Calculator. Looking for a different mortgage calculator?